Bouwa Whee is a dynamic, wholly owned subsidiary of Det’on Cho Corporation – the economic development organization of the Yellowknives Dene First Nation, dedicated to creating prosperity for its members. Our name means “I am hungry” in the Yellowknives’ Weledeh dialect. Since 1988, Bouwa Whee has provided expert catering to northerners, but that’s not all we do. 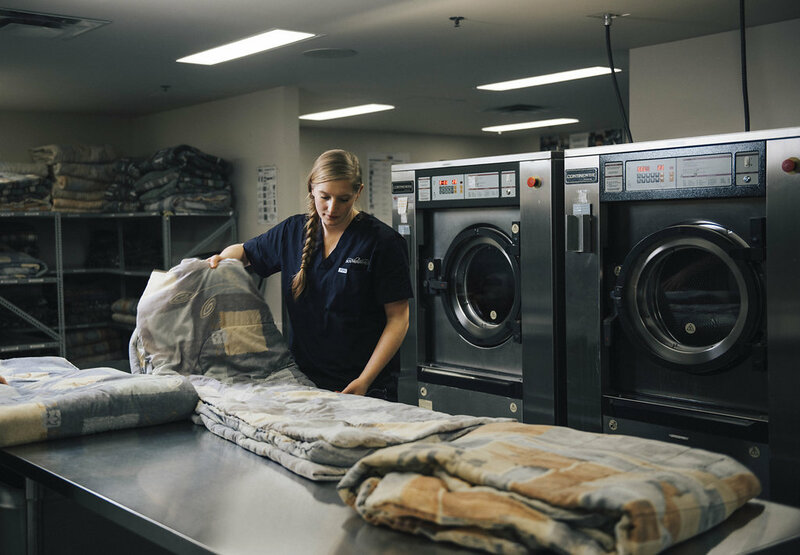 We’ve grown from the kitchens of the Vital Abel Boarding Home in Ndilo, NWT, to providing full-time catering, accommodation management, housekeeping and janitorial services for three major northern diamond mines - Gahcho Kué, Diavik and Snap Lake. With a skilled workforce of 170 people, and 35 casuals on call, our employees are among the industry’s most experienced and well trained. Eighty percent are from the North and more than 50 percent are Indigenous. To meet our high standards, our staff go through a rigorous process including drug tests, medical tests, immunizations and security clearances. All of Bouwa Whee’s employees have access to the best training in the North. Our people are our strength. Timeliness, teamwork and commitment are our core values.